Often mistaken to be the capital, Sydney is Australia’s largest city. Located on the east coast of New South Wales, the huge city really has something for everyone, from impressive sights to world-class beaches. It’s also home to a vibrant nightlife scene, especially around Darling Harbour, The Rocks or Newtown, which are best explored by taking part in a pub crawl. Sydney’s two most iconic sights are the Sydney Opera House and the 134-meter-high Sydney Harbour Bridge, which you can climb over if you’re not afraid of heights! A stroll over the 268-meter-high skywalk at the Sydney Tower might also make your heart beat a little faster, but those who aren’t adrenaline junkies can simply enjoy the view from the observation deck. The Sydney Opera House is one of the most iconic sights in Sydney. For a great view over the harbor, head to Mrs. Macquarie’s Point in the Royal Botanic Gardens. Bring a picnic to relax in the city’s largest botanical garden against the backdrop of the skyline. The smaller Hyde Park is another of Sydney’s many green areas. Located in the middle of the city, this picturesque park is home to impressive statues and monuments, such as St. Mary’s Cathedral. The Royal Botanical Gardens are located in the heart of the city. From both parks it’s only a short walk to The Rocks, Sydney’s oldest district with cobblestone streets and colonial architecture. Be sure to take part in a walking guided tour during the day, or a “ghost tour” at night, to find out more about the district’s history. Other must-see districts include Newtown, known for its art scene, Chatswood, with fantastic shopping opportunities, and colorful Darlinghurst, the center of Sydney’s LGBT community. Chippendale, close to Chinatown and the Central Business districts, is most famous for its award-winning One Central Park. 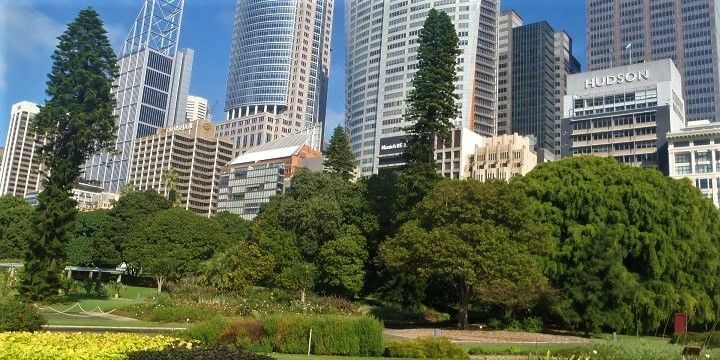 This impressive apartment building’s exterior perfectly depicts the mix of nature and metropolitan life Sydney has to offer, with its impressive vertical gardens and reflective mirrors. Sydney is home to more than 100 beaches of all shapes and sizes, many of which are world-renowned. 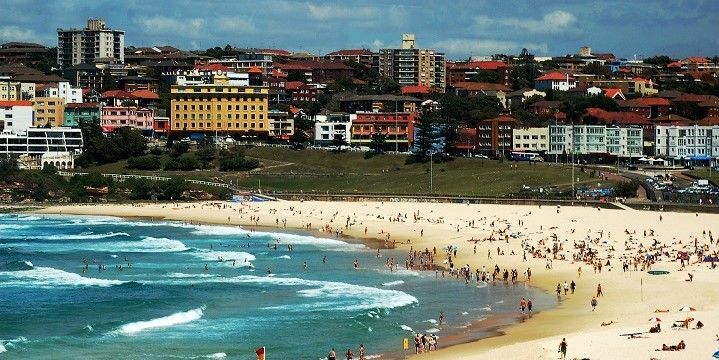 The most famous is Bondi Beach, which is easily accessible from the city. It’s a popular spot among surfers, and is the starting point for spectacular cliff walks, such as that to Coogee, which takes about two hours. Bondi Beach is world-famous and a popular spot among surfers. Alternatively, take the ferry from Circular Quay to Manly’s Beach to experience unforgettable harbor views from the boat. After sunset, the beach turns into a great nightlife location, with many live music venues, attracting tourists and locals alike. Sydney is a great starting point from which to explore southeast Australia, or head north to Queensland. Northwest of Sydney, you’ll find the Blue Mountains National Park, a high plateau, which got its name from the blue haze over the woods. There are many hiking trails, which vary in difficulty, through the lush forests, and past beautiful waterfalls, such as the Katoomba Falls and Gordon Falls. You’ll also see unique rock formations, such as The Three Sisters, close to Katoomba. For panoramic views over the Blue Mountains, take a ride on the park’s railway, which is steepest in the world! 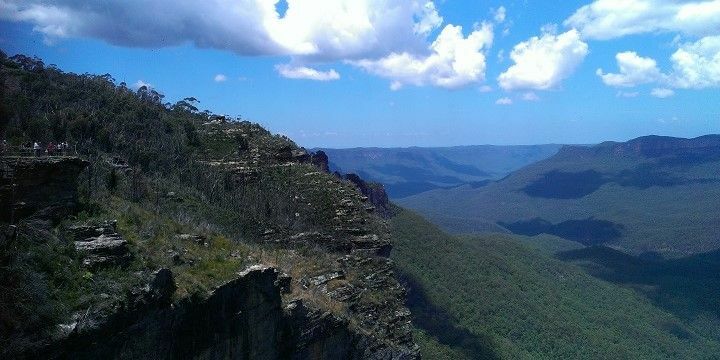 The Blue Mountains are a great day trip from the city. Other day trips include the Royal National Park, which is also home to impressive hiking routes, and Hunter Valley, one of Australia’s best wine regions. The latter lies about two hours from Sydney, and hosts more than 150 vineyards, producing some of the world’s most reputable brands. 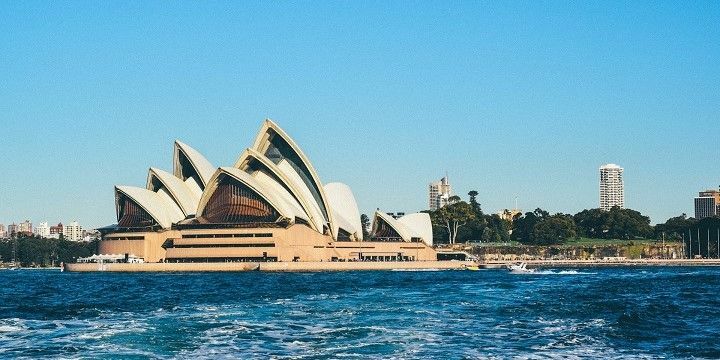 If NextStop24 helped you to choose your next travel destination, we'd be very grateful if you’d search for your accommodation and things to do in Sydney through these links. They're affiliate links, which means that we will receive a small commission for every booking made through them. There are no extra costs for you; you'll simply be helping to keep NextStop24 running. Thanks! Australia is a great country where you can do a lot of outdoor activities but you can also just lay on a wonderful beach and enjoy the sun. Sydney is a modern city where you can do anything! The walking tour was great, and getting around was pretty easy too. Loved the city and the vast amount of things to do here. Sidney tower, the Opera house, tower bridge, the botanic garden, multiple beaches, galleries, museums,... You could spend months here and don't get bored. Try it!